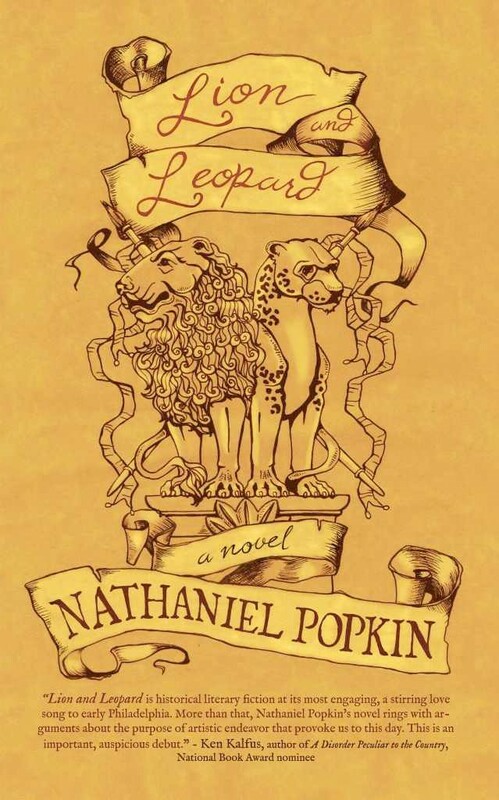 Nathaniel Popkin is a writer, editor, historian, journalist, and the author of three books, including the 2013 novel Lion and Leopard. 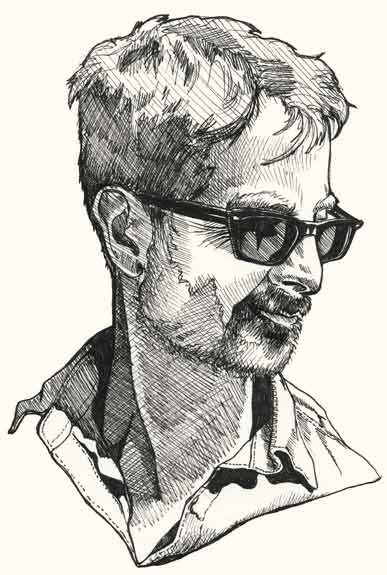 He’s the fiction review editor of Cleaver Magazine, as well as a prolific book critic—and National Book Critics Circle member—focusing on literary fiction and works in translation. He contributes regularly to the Wall Street Journal, Public Books, The Millions, and the Kenyon Review, among other publications. He’s the founding co-editor of t he Hidden City Daily, a web magazine that covers architecture, design, planning, and preservation in Philadelphia. He’s also the senior writer and story editor of the multi-part documentary film series Philadelphia: The Great Experiment for which his work has been recognized with several local Emmy awards. Philadelphia: The Great Experiment was what we finally settled on after both a lot of discussion and a long email chain among historians - trying to come up with a smart pithy observational title that really captured your attention and framed Philadelphia’s history in perhaps a new way. A lot of ideas were collapsed into the title. Philadelphia was a social experiment in terms of being a place for religious toleration which worked well in some ways and not in others. It was a political experiment. William Penn was called the great lawgiver. His ideas were seized by those who followed him and eventually his ideas became part of the American framework of government at various points. Philadelphia was and is an experiment in city planning and urban development. William Penn brought very specific very interesting ideas about the hierarchies of space which got used, implemented, abused reimagined, and mythologized over time. It was a cultural experiment in the sense that any city is. It is a breeding ground for ideas and art that responds to human experience of so many people piled up in one place. The title originated with Sharon Holt, one of our experts. She came up with this notion that Philadelphia was the Research and Development Capitol of the world or of the nation. We incubated ideas on how to do things. From government to civil rights to technology and invention - in almost every area of city life. Even things like leisure, music, and sports were incubated here and put out into the world. All these were really incubated here. Philadelphia hasn’t always done a great job of always capitalizing financially or otherwise on these inventions. In terms of gender rights, too, Pennsylvania had very early property rights for women. Divorce rights. It had the earliest female pioneering physicians. So, I think in all these ways Philadelphia: The Great Experiment captures the spirt of Philadelphia but not in a way that confirms the inherited myth and cliché about the city. It does work with a kind of Ben Franklin convention and tableau that we’ve all inherited but it really goes beyond that in every era before and after Franklin. I would also say one of the things I brought from the beginning is a strategy to disavow labels and myth and to approach in an honest way the city’s inherent contradictions—a place of great progression and reaction at the very same time. If you are a reader of the legendary or observational history, literary or otherwise, of the city, for example, there’s this idea that by the early middle of the 20th , say 1925, Philadelphia was a solemnly complacent city. I find any kind of label like that to cover up what is most remarkable about the city. What makes Philadelphia unique vs. Boston or New York for this experiment? Maybe nothing. You’re talking about three cities that rose up in approximately the same period, the same nation. Those cities inculcated the basic ideas about the nation - as a self-invented nation. Those three cities brought different things. Boston brought an insistence on federalism and puritanism and notions of intellectual life and education. New York brought a kind of coarse commercial life that built into our free society. Philadelphia brought a framework for our Constitution and a rational approach that if you look at the form of those cities is apparent. ​I’m not an expert on Boston. I know a little more about New York. Each city could claim to be a Great Experiment. New York has an easier time claiming a greater hold on the American narrative. It embodies much of it but it is also a greater outlier of the American character. Boston is much more of a regional outlier – a very specific place. It’s maybe more parochial in its history than Philadelphia - partially. Boston could call itself the Great Experiment but why doesn’t it call itself the smartest place in the country? Philadelphia is burdened by negative mythology much more so than those other places even though New York lost 700,000 net people in the post-World War II period and Boston has suffered through innumerable social crises. Boston and New York rebounded quicker post-war [World War II] economically than Philadelphia and are not burdened by negative history. What is the cause of Philadelphia’s negative history? Philadelphia embodied its successive losses. The loss of the national capital to Washington D.C. The loss of the state capital to Harrisburg. Philadelphia ceased to be the financial capital of the nation and it ceased to be the industrial capital. A kind of negative culture burst from that. disproportionately in the country than other places in wealth, industry and prominence but it also had a larger physical sense of loss because of the utter collapse of the industrial economy. The city was so invested in production as the mainstay of public life that Philadelphia fell harder, further, and longer when that economy ended. Philadelphia, in a pioneering way, tried to prolong and make the industrial economy endure rather than adapt like Boston and New York did. Philadelphia invented ways to work with industrialists and bought new land and built factories to make the industrial economy last instead of adapting. Philadelphia didn’t really didn’t collapse until the late - 1960s. All of these urban narratives are complex. We don’t do ourselves a favor by trying to pinpoint or label. That’s part of what motivates my work - searching for the layers underneath. When I look at the episodes, there’s a lot on the history and social dynamics and not as much on the cultural side - art, music, and scientific innovations. Are there any though on a version 2.0? No. It’s hard enough getting the funding for this series. We’re covering the city from the 16th century to 1995 in 13 episodes. We’re trying to balance many factors. The episodes are 25 minutes long. They’re made for commercial television. The commercial television audience is not a public television audience. It’s larger and pointed towards the middle of city than a highbrow PBS audience. To keep that audience, we need the stories to be character-centered. Protagonists drive the story. The episodes need to include conflict. They need to feel familiar but at the same time get the viewer to say – oh, I didn’t know that. We have to present the latest and most thoughtful scholarships from the best existing scholars in different fields and journalists. History is always told from the vantage point of the present. Our audience is mixed gender, mixed race, mixed economics, and has mixed geographical connections to the city – even though it is a regional audience. We’re trying to integrate people who have been left out on purpose. People who have been left out of prior source records – African-Americans and women. We’re trying to entertain and excite and make people think about the city of today. There are compromises that are made. One of the significant things this series does very much in opposition to other stories about Philadelphia and other cities (particularly other cities) is that it is democratic. We’ve done thousands of interviews with hundreds of scholars and observers and people who experienced some of these ideologically across the board. By gender. By race. All these important demarcations. I collaborate with a whole team of amazing people at History Making Productions. The point is to try to tell a more democratic story and upend myths. To get at your specific question, cultural production is something we have addressed. Particularly in the post-war episodes. Music especially. In upcoming episodes, we’re about to work on, we will approach several characters who have had impact on scientific innovation, technical innovation, and industrial innovation. We’ll be focusing on cultural makers such as Thomas Eakins, Marian Anderson, and Bessie Smith. Can you explain the process from written script to the actual creation of the episodes? books on Philadelphia history in the studio and using previous episodes, we assemble each script which has narration lines and speculative expert lines. We examine how the characters develop, how narrative arcs flow and where are the emotional power points in the story. How do different stories align? We invite experts in for interviews. They tell us what they know. Questions of the experts are framed around the script and we try to learn what they know. We keep an eye on the narrative story, character, and our interest in learning. The scripts are revised based on having learned new things in the interviews so that we get a much more vital, much more in-depth, and more profound ways of thinking about the script. Once we have the revised script we like, we assemble archival materials and work with our director, Andrew Ferret, who directs the reenactment scenes. The reenactments are meticulously devised to work with the script and expert lines so that they are believable and not distracting to the story. Original music is composed by Patrick de Caumette. We then work with it and work with it and with our experts. It’s a long process. It’s not done in one chunk. You do a lot of work for Hidden City Philadelphia an online and offline venture which “pulls back the curtain on the city’s most remarkable places and connects them to new people, functions, and resources.” There was a festival in 2009 and in 2013. Will there be one on 2017? No. The festival was started by Thaddeus Squire who is a cultural entrepreneur. 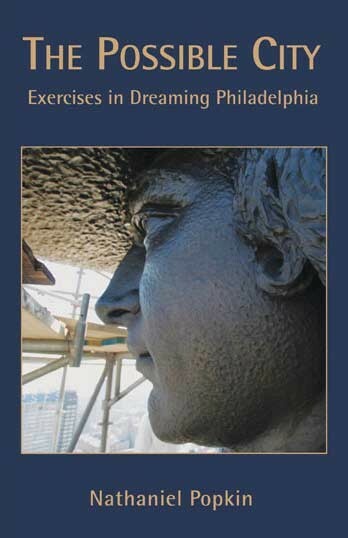 It was based on the ideas in Perennial Philadelphians, a book by Nathaniel Burt. The main idea was that Philadelphia was hidden beyond the comprehension of most Americans. It was a mysterious city hidden behind clouds of industrial smoke with lots of hidden anachronisms. Philadelphia is not like any other place in America. Thaddeus took that theme and created the Hidden City Festival so people could discover for themselves lost relics of the Gilded 19th Century Philadelphia age – places not normally accessible to the public. The conceit was that there were mysterious places hidden away that could be revealed and reimagined. In 2010, when we began to imagine what became Hidden City Daily. Could you take that same conceit of satisfying discovery and exploration and learn and imagine the future of the city? Could we create a confrontation between the past and future? We thought how could we do that on an everyday basis. So, we created the Hidden City Daily. We thought if we were going to make a web magazine, we better elevate the conversation about Philadelphia. We insisted on high editorial standards. It was a terrible time for journalism. There was no financial model to speak of so we decided to rely on the passion of involved interests: preservation, architecture, infrastructure, landscape architecture, transportation, and history. We decided to draw on contributors to those interests. For the most part, we could not afford professional writers. We made up for that with strong editorial standards and rigorous editing. The Hidden City Daily was launched five years ago on September 7, 2011 with crazy ambitions which have more or less worked out. We’ve published about 2,500 articles, many of which have had an impact on various discourses. In a subtle way. A tremendous amount of what we do is tell the narrative story of buildings. Buildings are the product of someone’s imaginative or inventive ideas. Buildings are created by people as a product or laboratory or cultural invention. We explore the way each building followed that person’s or set of person’s ideas and needs such as economic needs and how that building has been adopted by another generation for their uses – how that building has been reimagined and reused in layers and layers across time. A lot of what we do is tell the story about how individual sites connect to the present in ways that tell a subtle story about what really is preservation and the complex, complicated and sometimes contradictory nature of the city itself. People come with different ideas, assess what’s around them, seize on, export what they’ve got, and try to make do or make the city better. We’ve been on the forefront of covering, in various ways, situations involving specific buildings but also administrative failures of the city. We have been at the forefront of reporting on many many interesting developments in the city - both public space and infrastructure - like the Reading Viaduct – as a place for architectural criticism and design criticism. We record on the way people organize to protect or maintain or install some item for the benefit of the public such as a public garden or a community garden. We cover the way artists and creative people have taken up some aspect of the city for both the benefit of neighborhoods and their own careers. Ways architects envision and work with materials of the past. Our reporting has led to focused attention on the preservation of key buildings around the city; we’ve led reporting on: the soda tax’s impact on recreation centers, the high cost of union labor, the trouble with Community Benefit Agreements, the crisis of Jeweler’s Row, the failed architecture of the Museum of the American Revolution, etc. Who is your audience for Hidden City Daily? All the people in the fields I mentioned: real estate people, architects, history buffs, and those who care about the city. We do have a national audience. It’s not very large but it’s of interest to people who like this kind of approach to journalism – the storytelling, the seriousness of our approach, the way that we embrace and come to our readers really love the city more. Our audience is about 50,000 individual readers. That’s been steady for several years now. We also have a vigorous audience on social media. Is there one particular landmark where you think the Hidden City Daily coverage has made an impact? (two of three of which are likely to be preserved for residential and commercial purposes by a national developer). I’m proud of our coverage of the crisis at Jeweler’s Row. I’m proud of our coverage of the dull and complacent design of the Museum of the American Revolution. I’m proud we recently won a state historic preservation award for our reporting. The Benjamin Franklin Parkway. Was it a good or bad idea to keep it commercial? I’ve written for a long time that public spaces and parks have too much symbolism and not enough to do. We’re great at monuments. Almost everywhere there’s a monument. We are now in the midst of the enormous embrace of public space that harkens back 100 years. We now have wonderful beer gardens ephemeral, some move around, some of the best in America. With really good food and music. On the Benjamin Franklin Parkway, having a sanitized institutional environment which was also dominated by the automobile ended up in the 1990s being an abominable public space. After a billion dollars-worth of investment there are new institutions that are much more publicly focused, there are now cafes, for example, that excite the average person and make them want to hang out. It’s begun to become transformed. When we did an interview of Denise Scott Brown for Philadelphia: The Great Experiment, she lamented the fact that the planners of the Parkway had no clue about urban economic development. Here’s all this half-empty space. There’s no people living here. There’s no life to it. I absolutely support the injection of commercial life of different kinds and different levels into the Parkway. We don’t live in a smoke-filled crowded over-exhausted place. The need for utter quiet in 2016 is not as great as it was. You write for and edit Cleaver Magazine. One interesting literary style on the site is flash fiction. Can you talk about flash fiction – what is it and why do people write it? Has the Internet helped to make it popular? Cleaver Magazine is a literary magazine published on-line Flash fiction isn’t my jurisdiction but I can talk about it. A couple of things are happening. Flash as a mode of literature is paced by technology and by the city. We’ve spent as a culture 20 years returning to the city – physically and culturally. So that if we go back to 1996, I would say suburban Orange County, California was the cultural vanguard of America. Today, it is Brooklyn, New York. That switch, all over the country, is because young people are more interested in the pace and socialness and urban exhilaration of the city. That pace coexists with very short thoughts. The pace, the rhythms, and these little machines allow us to be communicating constantly but not at length. Flash is often situated in the city. Cities, modern cities in particular, as we’ve come to understand them through photography and literature (for over 100 years) are a place where you can capture an image, a glimpse, a moment, a conversation. The city exerts these kinds of presences. Flash is a really nice reaction to that. It can bring together these threads of technology and urban life. You write a lot of book reviews. Are reviews about the content, what the author is trying to say, or about the literary style – how the author is trying to get his/her points across? My focus is the layers of the city. I do a lot walking about the city. I write because I want to respond to where I am and I want to respond to why I read. Those are the two inspirations for my work – literature and the city. You could say since I spent a lot of time as an architecture critic, I write a critical and analytical view of the city. My main goal is to peel back the layers of the city. I don’t know that I think about what the author is trying to say or how she’s saying it. But, that might be implicit. With literary criticism I try to understand what is the context from which the author is writing. What motivates them? What does the intersection of what they are saying and how they are saying it have on the reader? I sort of have an emotional as well as an intellectual response to fiction. Fiction to me is what makes me feel more human. Good fiction makes me something mysterious in almost kind of a religious way. That feeling comes from plot, characters, and the way the world is being created on the page. I’m interested in the poetry, the rhythm of the writing. I approach literary criticism more from my perspective than trying to figure if this writer is a great one, a groundbreaking one, or not. Or trying to label or align the writer with someone else. I do take a lot of pains to be aware of the writer’s context. I read and review a lot of work that is translated and is the work of a different culture. I try to see this writer’s work in the context of what came before or after her. For example, a review of mine that was published in the Wall Street Journal was about a novel written by an Argentinian writer. That work was an historical fiction that didn’t want to be historical fiction. It wanted instead to be a contemporary novel set in the past. I felt a real alliance with that because that was the approach I took in Lion and Leopard. I also saw how the themes of that writer connected to another Argentinian writer of the present day. 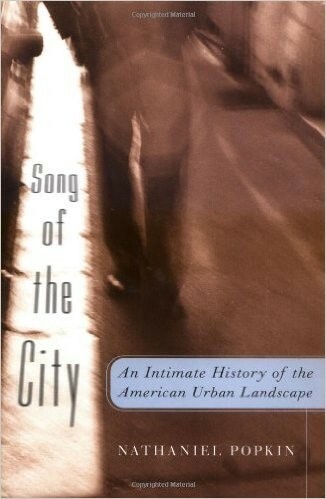 I look to see how literature, like the city itself, is passed along. The writer is Antonio di Benedetto. The novel is called Zama. First time it was available in English. In the Lion and Leopard, you chose to tell part of the story as a series of letters written by the characters as opposed to a narrative. Why did you choose to write the novel that way? I heard their voices in my head. The voices were so clear I wanted them to speak in the alternating parts of the Lion and Leopard. The first part opens with Caleb Cloud’s narration. Part two is a conversation between different characters. Part three goes back to Caleb and part four to the assemblage of first person voices. The narratives of the four parts collide. In terms of the first-person voices, I view literature as a conversation, just as in painting. The writer is seduced into quoting from other writers. I was very influenced by a novel by Orhan Pamuk called My Name is Red which is about a bunch of catty court painters in the 16th century. They tell their story in that book. I was struck by that – the way it sounded on the page. Herman Melville said “Benjamin Franklin was everything but a poet.” Is that part of the conversation about the art​ of Peale and his entourage and that of John Lewis Krimmel? ​That’s a great parallel. Art in the eyes of Charles Willson Peale who we can think of as a kind of Benjamin Franklin whose life was spent in pursuit of improvement, practical improvement – was a way of life, imagining how people could live together in a self-governing experiment. Peale was not therefore by nature what we would think of as purely an artist. He wasn’t necessarily making art for the sake of art. In his original conception as a portrait painter, or as that conception developed after the American Revolution, he used his portraiture to create a visual American pantheon of American heroes and in endeavor, from law and science to politics and the military - from across the ideological spectrum to say we are one unified thing, a united nation. And as a new culture in the world, we need to have our characters, our touchstones. There is a discussion in Lion and Leopard about when you are creating a new country – is it the political economy or is it the culture itself? The protagonist of the book is John Lewis Krimmel, a German immigrant, who is much more of a Romantic and purely loves to sketch. This is what he wants out of life – to capture the world around him – to transform it. It’s a very present idea for me. I’ve been a journalist. My first two books, the 2002 Song of the City (Four Walls Eight Windows/Basic Books) and the 2008 essay collection, The Possible City (Camino Books) were nonfiction. There’s something inside of me that is constantly at conflict with being very practical and grounded and being purely imaginative and emotional. I’m curious about the research behind the Lion and Leopard. How did that develop? My research took five years. It started when I first began to realize there was this group of artists in Philadelphia such as Charles Willson Peale, who was the impresario of his day, and Krimmel, who drowned at Peale’s farm, Belfield. I began to assemble these people. I started to look at primary source documents. I read their biographies. I talked to a friend who as an artist. I was interested in conveying their own journeys, their own words, their own ideas. That’s how those personalities got started. Is the Krimmel painting still around? 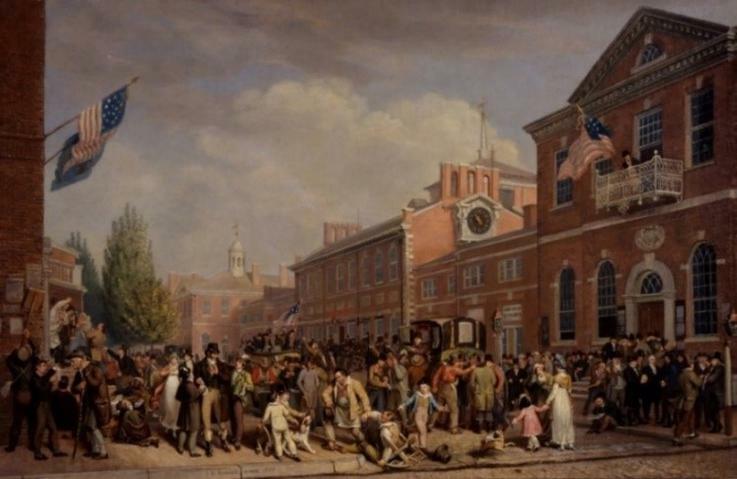 The painting the plot sort of turns around is Election Day Statehouse 1815, in the collection of the Historical Society of Pennsylvania. There’s also a watercolor version which shows the same scene a few hours later which has a monkey from the Peale Museum escaping out the second-floor window of the Statehouse. This second version keyed the plot of Lion and Leopard. Which artist, Peale or Krimmel, has influenced Philadelphia art the most? Probably neither. So much of what they did wasn’t very good. I like to say it’s as if the Renaissance never happened. They lacked training although both got some training. Krimmel was self-taught. Peale was an autodidact through and through. Peale’s influence was much much greater because he was a founder of the Pennsylvania Academy of Fine Arts. That legacy connected right up to Thomas Eakins. As an aside, we’re working on a project about Philadelphia’s role in the both of motion pictures. That role does include Charles Willson Peale. Krimmel was a genre painter. He was at the cusp of developing his talent when he died at the age of 32. Barnes on the Parkway or Barnes in Merion? Barnes on the Parkway. I believe cities are for the living. I believe our ideas and conceptions of things should be open. For much of Barnes’ life, the collection did reside in Philadelphia. I’m not a fundamentalist. While Barnes was eternally disappointed in the snobbery of Philadelphia’s elite that didn’t allow him in, that put a chip on his shoulder, there are lots of ways to respond to that chip. The first director of the Philadelphia Museum of Art, Fiske Kimball, was a terrific modernist, forward thinking art historian who could have easily melded with Barnes, if Barnes could have let go of his grudge. A man like Albert M. Greenfield, like Barnes a working-class youth, responded to the snobbery very differently. Greenfield never held a grudge. Greenfield became the richest developer in the city. The other great collection we ought to have is the Widener collection. We don’t because of Joseph Widener, not the father Peter, who was so insecure that he took out his frustration with Philadelphia society by sending his legendary art collection to the Smithsonian.